Well, it’s no news: the spooky season is a special time for all of us, especially for marketers and business owners. Every year, brands spend millions and use their creativity to find the best Halloween campaign that will blow their fans’ minds. Roughly 179 million Americans celebrated Halloween last year, spending a record $9.1 billion dollars on holiday purchases. The most popular products? You guessed it: candy, costumes, and decor. Halloween is one of those holidays that have completely moved to social media. So as you can imagine this presents endless opportunities for your brand to shine. And what’s the best part: you don’t necessarily have to have a big budget to kill it at social media’s biggest holiday. To help you find inspiration, we’ve got a full list of innovative campaigns to boost engagement, drive action and make your consumers tremble with fear. You can also pick any of our pre-made designs and brand them as your own. In a matter of minutes, you will be able to get it all done. Try DesignPro free for 14 days. 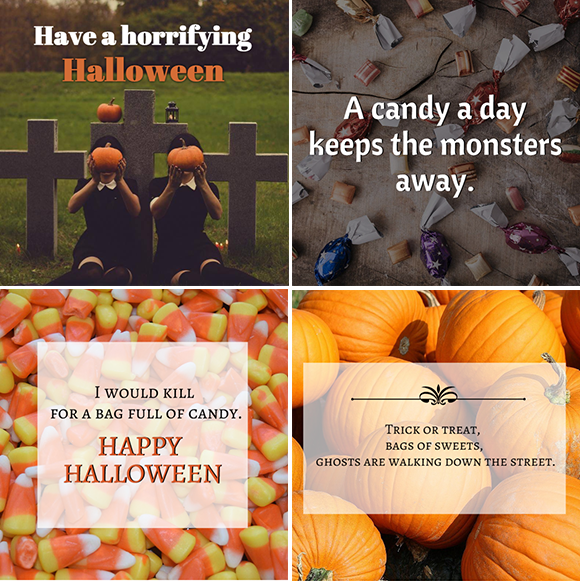 Decorating with Halloween-themed graphics your social media and website will give your fans a sense of that spooky and fun atmosphere surrounding Halloween. Simply refreshing the banners on your social media profiles to reflect the season and this will generate a “story” in your users’ feeds. Visual content like images and videos grab attention on social much better than plain text and link previews. 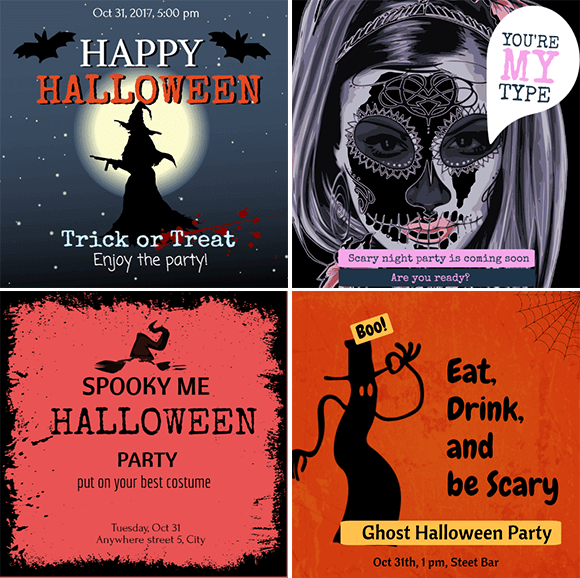 No matter the size and niche of your business, special occasions like Halloween are the time to loosen up a little bit and have some fun. Offering seasonal discounts is certainly one of the simplest strategies to realize. What’s more, your existing customers and prospects are expecting discount. You can go with an all-out sale, a small sum off the next order or a holiday-themed freebie with every order over a certain amount. Once you’ve created your offer you can share it over social media and if you’d like to reach a larger audience you can strengthen it with ads or a newsletter (email marketing) that has this same coupon inside. 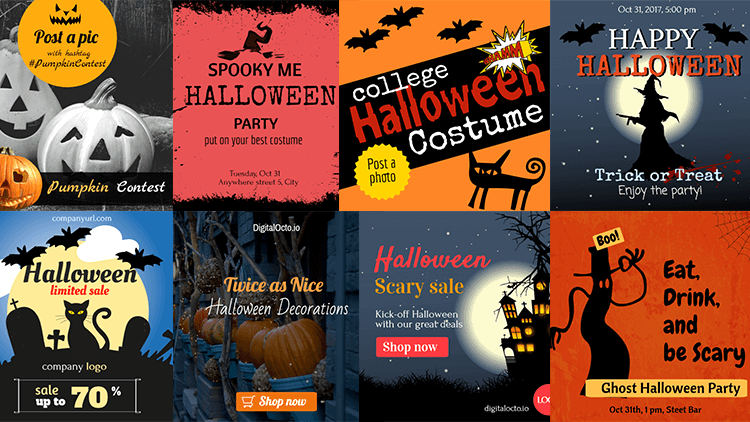 To make it work, create your copy and imagery with Halloween in mind and use the same graphics and texts across all marketing channels (with DesignPro, you can resize your graphics for any marketing channel with just a click of the mouse). “Your kids may never want Halloween candy again once they try our cheese! Give it a try in your home for 25% off through November 5th” and share how it tastes in the comments. Ask fans to tweet a picture of their carved pumpkin for a chance to win a prize. Just ask them to hashtag you, and the most retweeted pumpkin-carving picture may be chosen to win. This will create awareness and conversations of your brand. Contests not only increase engagement and attract new followers, but they also show that your biz has the holiday spirit. Throw in some fun prizes (that your followers would appreciate, or perhaps something from your own inventory) along with future shopping discounts for all the participants and everyone ends up a winner! Want to get even more engagement? Invite other followers to vote on their favorite submissions to help you pick a winner! To keep the interest live during the whole contest period, you can create a special campaign hashtag and offer fun rewards throughout the competition with the main prize announced on the morning after Halloween. Imagine a writing contest in which participants would have to invent the continuation of an horror story you made based on an image, a video, a song, a text or even a GIF. Everyone love personality tests, that’s a safe bet. 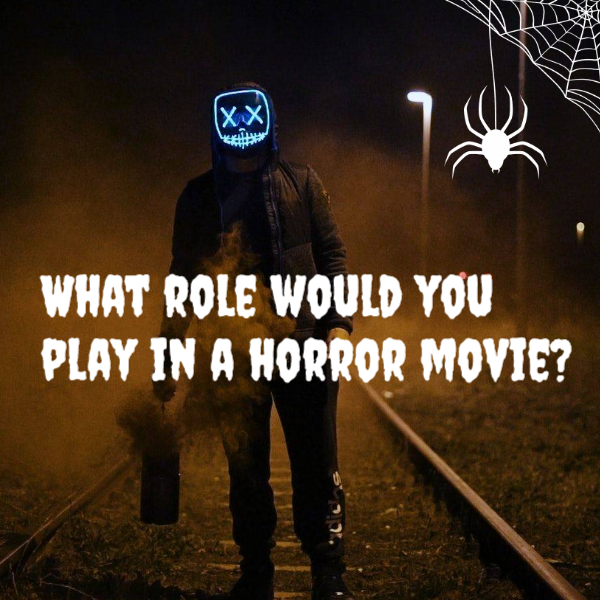 Invite your participants to find out the role they would play in a horror movie, how they would die, the costume that best matches their personality, the Halloween creature they are, etc. Share your team (or YOURSELF, or your pets) in costume. People love to connect with real people and they want to know the people behind their favorite brand. Share the fun side of your company, and your fans will feel more personally connected with your brand because they will know you better. It’s a win-win strategy – fun for both your team and your followers. If you are not planning on giving discounts, dressing up, or scaring your clients, well, you just might go with the safe choice of offering Halloween related tips or giving instructions like how to do your own Halloween makeup or custom. If you’re a digital agency, you can give tips on the area of your expertise – holiday digital marketing. If you’re in the food industry, you can create your own recipes and share them on social media to take advantage of the extra traffic. The list really does go on and on. To get the most impact put them together as a blog post first and then tease a few (or all) the tips out over social media one at a time (linking back to your blog post to read the entire batch!) This social media strategy allows you to become a source of valuable information that your audience will appreciate while at the same time bringing social media followers to your website! One more bonus tip: Email campaigns can help you boost the reach of your social messages by miles. The approach is similar to social, but the format, of course, will be different. Do not hesitate to take advantage of the email list, you’ve already had and send over the same deals or promote your contest. As you know traffic and exposure are all you need to get amazing results. If you want to save some time while preparing your graphics and promotions, give a try to DigitalOcto and it will help you create visuals for social media, emails, blog posts and ads. It is a simple drag-and-drop tool with more than 1500 free editable design templates. The paint of image creation is a thing of the past. Just give it a shot.